The Blogs on Burruezo & Burruezo’s website are made available only for educational purposes and to give readers/viewers general information and a general understanding of the law, not to provide specific legal advice (or any legal advice). By using this blog, readers/viewers understand that there is no attorney client relationship between reader/viewer and the Blog/Web Site publisher. The Blog/Web Site should not be used as a substitute for competent legal advice from a licensed professional attorney in the reader/viewer’s state or jurisdiction. This blog is not published for advertising or solicitation purposes. Regardless, the hiring of a lawyer is an important decision that should not be based solely upon advertisements. 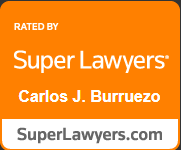 This Internet website is provided by Burruezo & Burruezo, PLLC., PLLC. By using https://burruezolaw.com , you agree to be bound to the following Terms and Conditions. Burruezo & Burruezo, PLLC., PLLC may revise these Terms and Conditions at any time. Such revised Terms and Conditions will take effect as of the date of posting. PLEASE READ THESE TERMS AND CONDITIONS CAREFULLY. BY USING https://burruezolaw.com SITE, YOU AGREE TO BE BOUND BY THESE TERMS AND CONDITIONS. Use of Materials on https://burruezolaw.com: Burruezo & Burruezo, PLLC., PLLC maintains this website for your personal entertainment, information, education, and communication. It is solely for noncommercial use. If you download any material, you must keep all copyright and other notices intact. You may not modify, copy, distribute, transmit, display, perform, reproduce, publish, license, create derivative works from, transfer, or sell any information, or other content, products or services obtained from https://burruezolaw.com. In addition, the information may not be taken out of context or presented in an unfair, misleading or discriminatory manner. However, you may electronically copy or print pages from https://burruezolaw.com for personal, non-commercial use, provided that you include a copyright notice on each page. Under no circumstances, including, but not limited to, negligence, shall Burruezo & Burruezo, PLLC., PLLC any party involved in creating, producing or delivering this website, or sponsors be liable for any direct, indirect, incidental, special or consequential damages that result from the use of, or the inability to use Burruezo & Burruezo, PLLC., PLLC materials. You specifically acknowledge and agree that Burruezo & Burruezo, PLLC., PLLC is not liable for any conduct of any User. As a condition of use of this Web site, the User agrees to indemnify Burruezo & Burruezo, PLLC., PLLC and its suppliers from and against any and all liabilities, expenses (including attorneys’ fees) and damages arising out of claims resulting from User’s use of this Web site, including without limitation any claims alleging facts that if true would constitute a breach by User of these terms and conditions. If you are dissatisfied with any Burruezo & Burruezo, PLLC., PLLC material, or with any of Burruezo & Burruezo, PLLC., PLLC terms and conditions, your sole and exclusive remedy is to discontinue using the Burruezo & Burruezo, PLLC., PLLC Web site. Please note that some jurisdictions may not allow the exclusion or limitation of liability for consequential or incidental damages. As a result, some of the above exclusions may not apply to you. Your use of https://burruezolaw.com is at your own risk. Burruezo & Burruezo, PLLC., PLLC does not represent that our content is accurate, error-free, truthful or reliable or that your use of such material will not infringe rights of third parties. Burruezo & Burruezo, PLLC., PLLC does not warrant that the functional aspects of the website will be error free or that this website or the server that makes it available are free from viruses or other harmful components. Burruezo & Burruezo, PLLC., PLLC reserves the right to correct any errors on this website. If your use of this website results in the need for servicing or replacing property, material, equipment or data, Burruezo & Burruezo, PLLC., PLLC is not responsible for those costs. Without limiting the foregoing, everything on our website is provided to you “as is” and “as available” without warranty of any kind, either expressed or implied, including, but not limited to, the implied warranties or fitness for particular purpose or non-infringement. Burruezo & Burruezo, PLLC., PLLC makes no warranties about the accuracy, reliability, completeness, or timeliness of the material on this website, or about its software, text, graphics, and links or results to be obtained from using the website. Burruezo & Burruezo, PLLC., PLLC does not make any representation about the quality of any product, services, information or other material purchased or obtained by you via use of this website. Please note that some jurisdictions may not allow the exclusion of implied warranties. As a result, some of the above exclusions may not apply to you. The trademarks, logos, and service marks (collectively the “Trademarks”) displayed on this website are registered and unregistered trademarks of Burruezo & Burruezo, PLLC., PLLC and others. Nothing contained on this website should be construed as granting, by implication, estoppel, or otherwise, any license or right to use any Trademark that is displayed on this website without the written permission of Burruezo & Burruezo, PLLC., PLLC such third party that may own the Trademarks displayed on this website. Your misuse of the Trademarks displayed on this website, or any other Content on this website, except as provided herein, is strictly prohibited. All Content included on this website, such as text, graphics, logos, button icons, images, audio clips and software, is the property of Burruezo & Burruezo, PLLC., PLLC and protected by U.S. and international copyright laws. The compilation (meaning the collection, arrangement and assembly) of all Content on this website is the exclusive property of Burruezo & Burruezo, PLLC., PLLC and protected by U.S. and international copyright laws. All software used on this website is the property of Burruezo & Burruezo, PLLC., PLLC or its software suppliers and protected by U.S. and international copyright laws. The reproduction, modification, distribution, transmission, republication, display or performance, of the Content on this website is strictly prohibited.